What Can I Get From A Horary Question? Full Evocation to Physical Manifestation? Incorporation for Astrologers & Magicians? “Will I marry X?” Works! “Should I move to Cedar Rapids?” Works! Too many variables, maybe you should quit your job, but shouldn’t move to Rio. Maybe you shouldn’t quit your job, how are we going to pull the correct answer out of the chart? “Will my ice cream business be a success in Anchorage this winter?” Works as a question, since the answer is likely no. 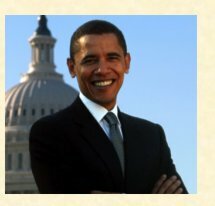 “How can be elected President of the US?” All you are getting out of this question is no, not a roadmap for your inauguration. What do I mean by headline? “When will I marry X?” Headline question actually is “Will I marry X?” positive answer is assumed in the question, but this doesn’t alter the fact that both negative and positive answers are possible to almost any question. Therefore, timing, physical description, location are typically all secondary information. Maybe they can be answered, maybe not! I will be away from Friday October 21st to Tuesday, October 25, 2011 for a sesshin (intensive meditation) at Ryumonji Zen Monastery At the sesshin I am scheduled for my Jukai/lay ordination. I haven't said too much about my Zen Buddhist practice, but I thought it might be useful to talk about it a little. We live about 1/2 a block from the Iowa City Zen Center, very convenient! Since we were so close, we thought, "clearly a sign!" and started attending zazen. This particular Zen center is affiliated with Shoken at Ryumonji Monastery. 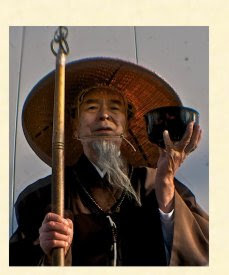 Shoken is a dharma heir of Dainan Katagiri in the Soto Zen School. Ok, what does that mean? Buddhism arose in India and passed to Southeast Asia, China, Korea and Japan. In the middle ages in China the Chan (Chinese for dhyana or meditation) School arose as reform movement within the Chinese schools and lineages. It passed to Japan as Zen. In Japan there are 3 schools of Zen, Rinzai, Obaku and Soto. Over simplifying Rinzai focuses on koans, impenetrable statements like the classic "what is the sound of one hand clapping?" while Soto is very focused on zazen, sitting meditation. Rinzai does zazen, of course and Soto can use koans. Obaku is a later import of the Chinese Rinzai lineage. Here's a little taste of Zen from the Matrix. One key tenet of Zen is the idea of direct transmission from master to student. Earlier Zen masters basically confirmed that the student had had a basic enlightenment experience called kensho or satori. Nowadays dharma transmission is basically the last step in being an osho (monk/priest) and doesn't necessarily indicate anything about enlightenment experiences. Unlike many Western spiritual traditions Zen has an unbroken tradition and lineage. I can read Dogen (the "founder" of Soto Zen) and he is describing the ritual and teachings that my teachers tell me. I have done zazen (sitting meditation) every day now for a year. Up till last year I found it impossible to meditate at all. I could not even sit still. Now I am doing an hour a day. At sesshin we do about 15 hours of meditation over 2 1/2 days and a full day. At Rohatsu, an 8 day meditation session, they traditionally stay up later and later each night and all night meditating on the last day. I don't think I am quite up to that yet. The meditation has had clear positive effects. For example, I am much calmer and less likely to react immediately emotionally. This is not the main point, however. I am convinced that the accounts of kensho and other enlightenment experiences are correct and that they can be obtained through Zen and other spiritual traditions. just not as major a focus as it would be in Shingon or other Vajrayana/Tantric Buddhist schools. Secondly, there is a long tradition of syncretizing local spirits and native spiritual cultural elements into Buddhism and Zen. 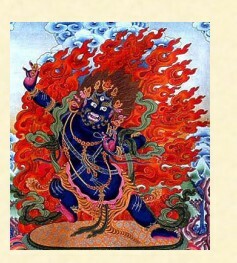 The Hindu devas, Chinese Taoist immortals, and Japanese Shinto kami were blended into Buddhism. The stars and planets are already part of Chinese & Japanese Buddhist practice, so my adding in the Western style astrological spirits, basically as dharma protectors and cosmic gods, is not much of a stretch. And why do I want to integrate them at all, doesn't astrological magic stand on its own? I've found astrology and astrological magic useful from a practical standpoint, after all it is great to be able to accurately predict the future and to do practical magical tasks. But the most valuable quality of practicing traditional astrology and magic is that it confirms for moderns, steeped in atheistic/materialism, that the spiritual exists. Once we know that then following a spiritual path and affirming the primacy of the spiritual over the material becomes logical and, for some, inescapable. I'm pleased that I have found a living spiritual tradition that allows me to continue my practical studies and work in astrology and magic, but points me to a path leading beyond the material, beyond merely attempting to sate the ego self. I have Saturn in Aquarius rising, so it is probably no surprise to traditional astrologers, at least, that I am a rock ribbed traditionalist, albeit with some unconventional leanings. A modern astrologer would likely expect me to be a dancing hippie. And I have say this song does give me a lump in my throat and I have long hair. But then mix that in with being a lawyer! Aquarius has a quality of being unconventional, but since it is ruled by Saturn, that unconventionality expresses itself as a deep traditionalism. One area that I can see this clearly is in the teacher/student relationship or more traditionally the master/disciple relationship. Immediately the modern hackles rise! In two areas, first, the modern archetype of equality and the fact that some teachers make abusive use of the relationship. For moderns the advances in political equality, one of the few real achievements of the Enlightenment, have extended to all areas. We are all equally qualified, apparently to pilot a 747 or do heart surgery. 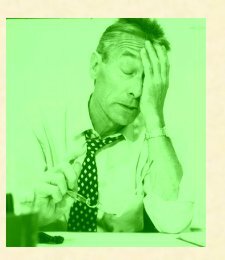 The reality of the lack of knowledge of the student is rationalized with equality by treating the teacher as a functionary or employee with some bits and bobbles of useful knowledge that the student can quickly pry out and appropriate. Certainly it makes no sense to follow the teacher’s curriculum or lesson plan. You already know 99% of what you need to know, just ask a few questions, follow your own [lack of] knowledge, after all, who does this dude think he is? Also since you and the teacher are on the same level, feel free to criticize the teacher and argue with them. You have a right to your own opinion and that opinion is just as valid as the teacher’s, in fact, probably more so since you wouldn’t have an opinion that you knew was wrong. If you disagree with the teacher their job is to convince you, in fact they should cater to and serve you. One problem with this modern automatic assumption of equality or even superiority of the student is that it interferes with learning and on a deeper level, it is a profound misunderstanding of the respective roles of teacher and student. At its most basic, the student must realize that they lack knowledge and recognize that the teacher has this knowledge. They must be willing to learn. The teacher must have the knowledge that the student seeks and be willing and able to teach it. Both of these are honorable roles, but logic as well as the traditional view both dictate that the teacher is superior to the student in knowledge. It follows that not only is the teacher superior in the knowledge sought itself, but also in knowing the method to impart knowledge. Therefore the student needs to submit to the teacher’s method as well as open themselves to the information that the teacher imparts. Openly acknowledging this submission is painful and often unacceptable for the modern student. Of course, this is not granting absolute power to the teacher. The student should investigate the teacher beforehand, checking out their training, their lineage and their teachers, reading their writings, talking with their students. But once the student decides to study with the teacher they should accept them wholeheartedly as their teacher. That doesn’t mean that they should let themselves be taken advantage of by the teacher and sadly some teachers have abused their students financially, sexually and in other ways. The student, as well as the teacher, always retain the right to end the relationship. In my view, respect is at the core of the student/teacher or master/disciple relationship. If a student disrespects their teacher, they show that they do not value the knowledge that the teacher is giving them and ultimately, lack self respect. I have been blessed with excellent teachers and as a student never felt inhibited about traditional ritualized forms of respect. For example, when I studied with Mehdi-Hairi Yazdi, an Iranian ayatollah, we all stood when he entered the room. As a Buddhist when I do dokusan, an individual interview with Shoken, my Buddhist teacher, I do three full prostrations to begin. I enjoy showing respect and in fact, feel ennobled to be part of these ancient lineages. I don’t expect my astrology students to do prostrations, but in order for me to teach and pass on the tradition, I do need them to trust me enough not to be constantly looking for mistakes or arguing with me. It is hard enough to grasp this material without fighting me all the way. When I teach it is not factory style mass production lectures with multiple choice testing in the educational/industrial complex, but the traditional method of one on one, albeit via the Internet or phone. The traditional method works, I’m living proof of that. It is not that I am better than my students, just more knowledgeable. Besides, I was once a student and my students will be teachers. This knowledge is not mine, I am merely the conduit for passing on the tradition. Respect to the teacher is really respect to the lineage of teachers before them and ultimately to the knowledge itself. 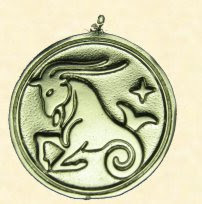 When we first started casting talismans at Renaissance Astrology, we used to occasionally cast in gold, but the price quickly became stratospheric. Ok, we'll use silver. But we've had to slow down our castings drastically in 2011 because of the tremendous increase in the cost of silver. When we started casting silver was $8 an ounce, it reached over $40 this year. Because we need to make multiple talismans at once and then wait to sell them, the cost of casting had become prohibitive. So, after much thought we have decided to switch to bronze as our main talisman metal. I still occasionally get people that ask for a custom "pure" gold talisman, thinking that it is going to be $25 or maybe $50. The gold itself would be over $1500 and the cost of molds, casting, design, puts a gold talisman somewhere in the $4000-$5000 range. Plus you can't easily cast 24 karat gold, it tends to get blobby, sticky and won't pour smoothly. The whole "custom talisman" thing is problematic. While custom talismans sound cool, they end up being about 10 times as expensive and a lot weaker than our standard talismans. This is because we sometimes have to wait years for the perfect time to cast standard talismans and casting a custom talisman costs a lot. Also currently even if you wanted to pay $2000 and the right time was available we have no open slots in our casting schedule for custom talismans. I tell clients, If you are interested in a talisman, definitely go for the standard ones, they are super powerful and the price is right! Here's the key problem, basically people are approaching talismans as jewelry, not as objects of magical power. Jewelry adorns you, it is an expression of your personality, it shows your wealth, your taste, it is YOURS. Clients get obsessed with the appearance of talismans, worry about miniscule pits or blemishes (inevitable with hand casting) or get hung up about whether to replace the cord with a chain. And want a solid tin Jupiter talisman (tin is too brittle and lightweight for a talisman) or a lead Saturn talisman (toxic) or a mercury Mercury talisman (super toxic and how do you cast a metal that is liquid at room temperature?). But even if you use the "canonical" planetary metal list you are missing the point, the power of the talisman is not in the metal out of which it is made and the point of a talisman is not to look pretty or please your aesthetic sense, these are points of contact with powerful spiritual beings! The power of an astrological talisman comes primarily from the carefully elected time of its making and the consecration to the appropriate spirit. Materials are much less significant. We have two factors operating here, unconscious modern atheistic/materialism and a traditional push for "natural magic". As moderns, even if we try to be spiritual, our reality is basically materialistic. "Obviously" the power of a material item comes from its material form and what it is composed of. Also the material is tangible and we understand it, whereas the astrological timing is complex and unknown. Ficino and other Renaissance mages were under a great deal of suspicion and pressure not to be dealing with spirits so they tended to explain talismans as operating "naturally" without the need for consecration, when in fact this is the key to astrological magic! Natural magic dovetails nicely with modern materialistic thought. So whether we use gold, silver or bronze, the power of the talismans comes from the timing of their making and subsequent consecration. Gold and silver look nice, but are not necessary. A 24k gold talisman cast at a time inappropriate for the Sun will be weaker than a paper talisman made at the appropriate time. We will continue to cast a few talismans in silver, but bronze, in both the ancient bronze, traditional reddish color and white bronze, make attractive, hefty, and above all POWERFUL talismans. Our next casting, in early December, will be the ever popular Algol anti-curse talismans. These are our most powerful curse and spiritual protection talismans. Silver Algol talismans will have a pre-order price of $400 and regular price of $500. Ancient Bronze Algol talismans will be $200. E-mail me at chriswarnock@renaissanceastrology.com for more info! Our traditional sources are not as helpful for electional as horary because they tend to list all 50 things it would be nice to have in an election and only occasionally give a nod to reality and say, "well, if you can't get all 50 things, just get the Moon waxing"
When it comes to using natal charts, again traditional sources tend to unhelpfully make broad, abstract pronouncements about how important the natal chart is and then neglect to give any practical advice about how to use the natal chart. 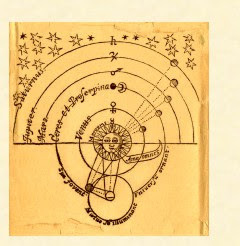 Gadbury's Nauticum Astrologicum is the exception. This is why I recommend it for anyone interested in traditional electional. Gadbury is talking about ships, but he gives 3 ways to do elections, from the natal chart, from a horary or just getting a good election plus actual examples! Interestingly enough his first two examples, using the natal and horary as a start are not good elections. Very typical! It's hard enough to get a good election without trying to throw in extra natal or horary factors. My approach simply to try to get a good election without trying to monkey with the natal chart. Couple of other comments about elections. Whatever little consensus there may be about horary or natal, goes completely out the window with electional. Modern electional is almost completely just "make it up as you go along" and even traditional electional is highly idiosyncratic. It's hard to test, much hard to see whether electional is effective as opposed to horary, plus the fuzziness of traditional electional sources. It's a good area to pontificate about and then rip on other people's elections, easy to do since NO ELECTION IS PERFECT! Generally clients take elections a bit too seriously, which is why electional clients are often a pain. Elections are not going to overthrow your natal chart, so if your finances are @#@%# in your chart, a good election is unlikely to make you a millionaire. Also elections are subject to the other higher cycles of fate like your city, country, the economy and the world's fates. So a good election for starting as a real estate agent in Las Vegas is also not going to do the trick all by itself. I do elect important events, but sometimes I get the impression that clients think I don't step out the door without checking with the stars. I am very pleased to announce that two Renaissance Astrology astrological talismans have been added to the permanent collection of the British Museum! More info and links here. The British Museum website is loading rather slowly and takes awhile. I think this is a real tribute to the incredible time, energy and effort we put into making authentic astrological talismans, following the ancient sources closely and penetrating through to the essence of the tradition. I had a post recently alluding to "full evocation to physical manifestation" This is one of the ideas bouncing around in contemporary magic and has come to mean that invocation of spirits isn't really complete unless they can be seen, heard, etc., physically. I find it telling that our modern test of the efficacy and even existence of a spiritual being is its material manifestations. We have such an ingrained skepticism about the spiritual that unless we can touch, feel or see it, we question its existence. This again seems very natural, but is it a standard we even apply consistently? When people ask me, "do you REALLY believe in astrology, magic, etc.?" I ask them in return, "Do you believe in atoms?" And that sounds like a nonsensical question to them. One believes, despite the sheer absurdity of it, in things like Santa Claus, the Tooth Fairly, angels and God. On the other hand, despite having never seen, heard, touched or tasted an atom, despite it being impossible to ever have anything but a second or third hand experience of an atom, we have no doubt of their reality. So with atoms we have an underlying constituent of matter, invisible, only discernible second hand, but consistent with the modern atheistic/materialist world view. On the other hand, spiritual beings or the Platonic Forms, similarly invisible, discernible materially only second hand through their effects on matter, we doubt because the spiritual is incompatible with the modern worldview. Traditionally, the spiritual underlay the material and was the ultimate basis of the material. The closer the material corresponded to the spiritual, the more perfect it was. The modern view inverts this, the ultimate test of truth is the material. This accounts for the popularity of the 13th sign, aka the constellational Zodiac. I don't doubt that it is possible to physically see spirits and for them to manifest materially. I personally haven't done this, though I certainly see spirits from time to time, in my "mind's eye". What I question is the idea that physical manifestation is the appropriate test for the success of an invocation and seemingly the point of invocation. It is definitely useful to be able, as I did yesterday, to invoke the 3rd Mansion of the Moon, and have a huge amount of business. But, as Jason Miller recently noted in a post for his Sorcery class, if you want to make money you'd do better getting an MBA and going into banking than using magic. I've often thought that the material results of magic and astrology are like shiny baubles that an infant is attracted to and reaches for. It may get us started on the path, but the fact that magic and astrology really do work and what that means in terms of the nature of reality is actually more significant. I had an interesting question on one of my discussion groups asking if it wasn't a good idea to incorporate or form a limited liability company ("LLC") to protect against lawsuits if you were a professional astrologer or magician. Key point for any business is that you are not going to be able to insulate yourself from liability for anything you do personally by setting up a corporation you control. If you commit malpractice or are negligent, etc., you are personally on the hook for it. Your corporate stock or LLC ownership interest, is an asset, just like your house or bank accounts and they can all be seized. Now, a corporation or LLC makes sense if you own property or have employees. If you own a building, for example, you have it as a corporate asset and if someone slips and falls, through no personal fault of yours, then only the corporation's assets, including the building, are at risk. You have corporation and have an employee, they injure someone, you had nothing personally to do with it, again only the corporation's assets are at risk. Now astrologers and magicians in particular. Is there really any need to be concerned about being sued? I've heard crazy stuff like you should get malpractice insurance. First off, you can never stop anyone from filing suit, there's nothing anyone can do about that. Being incorporated or an LLC will NOT stop lawsuits. But seriously folks, there is almost no chance that an astrology or magic malpractice lawsuit could succeed. First off who sues over a reading that cost less than $100? Secondly, how are they going to prove malpractice, getting a prediction wrong isn't enough. Are they going to call in another astrologer or magician who testifies that you failed the national standard for astrology or magic or aren't licensed? No court is going want to hear conflicting testimony about astrological analysis or magical practice! Being incorporated and being sued is for "legitimate" businesses, while astrology and magic are just borderline legal. You can still get prosecuted simply for being an astrologer in some cities and states. This is more of a problem than a lawsuit, depending on where you live and practice. Normally these cases get thrown out on 1st Amendment grounds with the courts saying even if we don't like astrology, we can't legislate people's philosophy or spiritual beliefs. But suing an astrologer or magician is like suing a priest, the courts are just not going to want to get involved, nor should they, unless there is actual fraud involved. Actual fraud would be someone who didn't believe in astrology just using it as a scam. This is general advice and as always consult an attorney licensed in your locality. 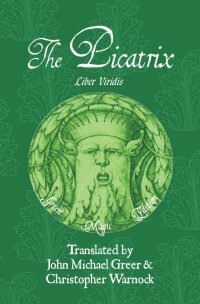 The Complete Picatrix will now be available in several newly revised editions, the Liber Atratus, “the Black Book” which is the edition available on Amazon, the Liber Viridis “the Green Book” our Green Magic edition (keep reading for info on the new Green Magic Mini-Course!) and the Liber Rubeus, “The Red Book”. Each of these editions contains our authoritative complete translation of Pingree’s critical edition of the Latin Picatrix, but each edition adds its special material and has a different look. The Liber Atratus and Liber Rubeus use black letter decorative fonts and woodblock engravings for a “goth” medieval look. The Liber Atratus adds a section on astrological poisons from Ibn Washiyya’s Book of Poisons. The Liber Rubeus adds a rather macabre section on the creation of a divinatory head. The Liber Viridis uses Renaissance calligraphic display fonts and lavish foliage illustrations for a more Renaissance, “florid” look. The Liber Viridis adds a Green Magic introduction and special Green Magic Index. 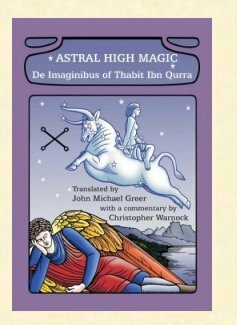 Everyone that pre-orders through the Renaissance Astrology website before August 27, 2011 either the Liber Atratus, Liber Viridis, Green Magic Mini-Course or Liber Rubeus will get two free Picatrix pdf books. 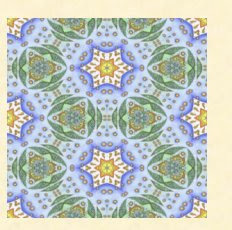 The first free pdf is “Sigils from the Arabic Picatrix” this is 8.5 x 11 with 15 pages of sigils from the Arabic Picatrix. Very interesting and useful to compare with the sigils in the Latin Picatrix. Second free pdf is the 77 page, “Picatrix Selected Translations” this contains selected Picatrix translations, some from the Arabic Picatrix, but more importantly my commentary on significant passages. Here’s the standard order info, but if you already bought a copy of our translation of Picatrix Books I & II or the blue version of our complete Picatrix translation, keep reading for a GREAT deal! As part of the Picatrix full launch extravaganza I am also introducing the new Green Magic Mini-Course. This course is an introduction to using traditional astrology and astrological magic for planting, harvesting and ecological magic through the Moon and her phases, Mansions and in the signs. The Green Magic Mini-Course also discusses how to use planetary rulerships and advanced Green Magic. 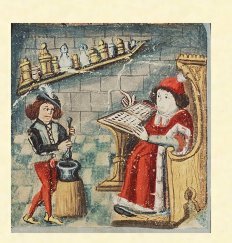 The Liber Rubeus is only available from the Renaissance Astrology website and only available intermittently on special request. Liber Rubeus orders will only be initiated when the Moon is in her 5th Mansion and each Mansion set will bear the date of its initiation. 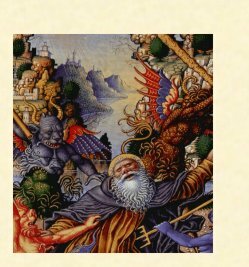 If you have a copy of the earlier blue version of the Complete Picatrix with Nigel Jackson’s illustrations, you are in luck because this first edition is now out of print! You can expect to see the price increase as the antiquarian booksellers start jacking up the price. But I have an even better deal. If you already bought a copy of our translation of Picatrix Books I & II or the blue version of our complete Picatrix translation you get an additional $10 off if you pre-order through the Renaissance Astrology website before August 27, 2011 either the Liber Atratus, Liber Viridis, Green Magic Mini-Course or Liber Rubeus. 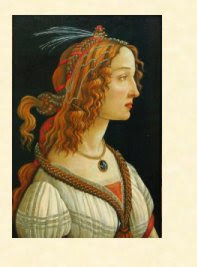 E-mail me at chriswarnock@renaissanceastrology.com and let me know the approximate date and e-mail address you used when you bought Picatrix Books I & II or the blue version complete Picatrix from me or just tell me the 2nd word in the 2nd chapter of the 2nd book of Picatrix. I will then e-mail you the special discount order page! So let’s recap, new versions of the Complete Picatrix + Green Magic Mini-Course, free pdfs if you pre-order before August 27th and special $10 discount for pre-orders if you already bought a copy of our earlier editions! These special deals are not available if you order the Liber Atratus through Amazon, the special deals are just for orders through the Renaissance Astrology website! The guardian angel/personal daimon is extremely important in traditional theurgy and traditional astrology does indeed have a role to play here. The key part that astrology plays is in the identification of the planet of the personal genius. 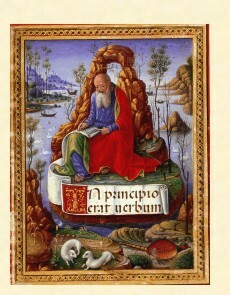 Now the ancient Phylosophers teach us to know the nature of the Genius of every man, by Stars, their influx, and aspects, which are potent in the Nativity of any one; but with instructions so divers, and differing amongst themselves, that it is much difficult to understand the mysteries of the heavens by their directions. For Porphyrie seeks the Genius of the Star, which is the Lady of the Nativity: but Maternus either from thence, or from the Planets, which had then most dignities, or from that into whose house the Moon was to enter after that, which at the birth of the man it doth retain. But the Caldeans enquire after the Genius, either from the Sun above, or from the Moon. But others, and many Hebrews think it is to be enquired after from some corner of the heaven, or from all of them. Others seek a good Genius from the eleventh house, which therefore they call a good Demon; but an evil Genius from the sixth, which therefore they call an evil Demon. Three Books of Occult Philosophy Bk III, ch 21. 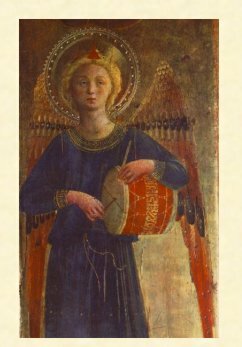 My tendency is to agree with Robert Zoller's identification of the personal daimon/guardian angel with the almuten figuris whose calculation is provided for in Ibn Ezra's Book of Nativities. The almuten figuris, literally the ruler of the chart, is found through determining the almuten over a series of points in the natal chart. 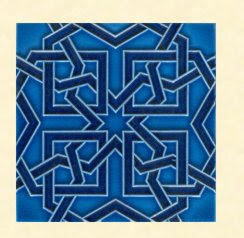 Here is the Ibn Ezra method as set forth by Robert Zoller, which I use. Find the essential dignities of the 7 planets in the degree of the Sun, the Moon, the Ascendant, the Part of Fortune, the previous syzygy (i.e. New or Full Moon closest to the nativity). Add the point values for each planet. sign =5 , exaltation=4, triplicity ruler (day ruler by day or night ruler by night only) =3, term=2, face=1. The highest scoring planet is the almutem figuris. The almuten figuris is indeed connected with the personal daimon or guardian angel. 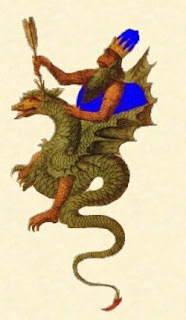 Iamblichos, in Mysteries of the Egyptians, Chaldeans and Assyrians, notes that the personal daimon can indeed be determined from the natal chart. Wilder trans. (titled Theurgia at 270.
whatever the conclusions we may arrive at by inference and reasoning he himself imparts to us the principles." 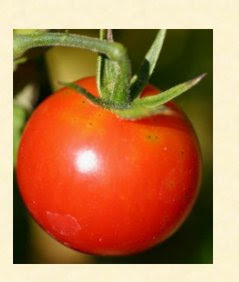 "If the Almuten figuris is the Sun, the native will want to lead, express his creative power and be recognized. If the Moon, s/he will want to care for, be cared for, eat and make love, dream, etc. If it is Mercury, s/he will be diligent in the sciences, business and communications. Id it is Venus s/he will be a lover of beauty, of music, of men and women etc. If it is Mars, s/he will fight in order to dominate. If it is Jupiter, s/he will philosophize and teach. If it is Saturn he will retire from society, investigate hidden things and suffer adversity." So the role of astrology is initially to simply identify the planet of and planetary spirit ruling the almuten figuris. Next it is also possible to determine the name of one's personal daimon or guardian angel using traditional astrology. Agrippa lays out the method for this at Three Books of Occult Philosophy Bk III, ch. 27 and explains various methods for assigning Hebrew letters to the degrees of the Zodiac for a particular natal (or other) chart and then deriving the name of the ruling spirit or angel. Note that this will not be Michael or Gabriel or another angel you can Google, but unlike the almuten figuris, will be unique to you and not shared with anyone else unless they were born at the exact same time, date and place. Once the planetary ruler of the personal daimon is identified then we have a good idea of the type of spiritual path we are best suited to, and a beginning idea of the method of contacting the personal daimon. For example, if Saturn is the almuten figuris, our path and method of contact is to "retire from society, investigate hidden things and suffer adversity"
Iamblichus in De Mysteriis, says that, "...the invocation of daemons is made in the name of the single god who is their ruler, who from the beginning has apportioned a single daimon to each individual and who in the theurgic rites reveals according to his good pleasure the personal daimon to each...when the personal daimon comes to be with each person then he reveals the mode of worship appropriate to him and his name and imparts the particular manner in which he should be summoned." IX 9-10 trans. Clarke & Dillon (SBL 2003) at 341. So traditional astrology can be of immense assistance in the process of identifying and contacting the guardian angel/personal daimon. I can also say that doing the rituals and astrological talismans of the almuten figuris can be quite beneficial. I have had excellent results from mine! I put on a huge burst of speed and I have now finished all of the lessons in my new Renaissance Natal Astrology Course! We are ready to start taking pre-orders with shipment starting on May 16, 2011! I was really pleased as I got into working on the Natal Course because I realized that the Renaissance method, which you could almost describe as "quick and dirty" really works well. 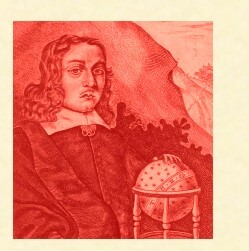 The Renaissance Natal Astrology Course is based heavily on William Lilly and John Gadbury and could just as easily be described as a horary method of natal astrology, where our focus is on houses and house rulers, rather than the more individualistic, idiosyncratic medieval methods of Bonatti, based on the older Arabic methods. They work too, but take a lot more work to master. The Renaissance method is much, much easier to learn. That's not to say that we don't use some more complex methodologies. For example, let's look at lesson 10; Manner of Death. This uses what initially seems like a complex technique using the Sun, the Moon, violent signs (?) and violent fixed stars. However, if you sit down and work through it, it's very logical and straightforward and what interesting results you get from it! One of the things that was important to me in the Renaissance Natal Astrology Course was to strictly avoid "celebrity" charts. We will not be looking at Hitler's chart! Why? Because if you know the native (person whose chart you are reading) and their life you can simply fit the chart to what you know. This is not prediction! In the Renaissance Natal Astrology Course we use charts from real people, with the locations and their identities concealed, but most importantly, you don't know the outcome or results of these charts. You really learn how to predict! We take off the "training wheels" so to speak, go out on a limb and learn how to deal with charts whose results are unknown. If you want to be a true astrologer and particularly if you want to read for clients, this is KEY! Just like my other full courses, we learn the basics of traditional astrology. You don't need to know anything to start my courses and in fact you are almost ahead of the game if you haven't studied modern astrology, since you don't need to unlearn anything. We go step by step, clearly and straightforwardly through the material. I fully explain everything in the lessons and since you are studying with me personally, if you have any questions about the current lesson you can ask me, either by phone or e-mail. There are no grades, you just need to master the material in each lesson before you go on. If you need more material to work with, I create it for you. You can take as much time as you want, there are no deadlines for completion! Is this a "complete" traditional natal course? I don't think anyone can honestly say that their course is truly complete, the area is just too big to cover everything. What I have done is to focus on those areas which I feel I have mastered, where I can give a very precise, accurate answer. The Renaissance Natal Astrology Course teaches how to give my Full Natal Reading and clients have been very happy with these readings recently. "Astoundingly accurate" or even "Disturbingly accurate" is what they've been saying. Certainly the hot areas that clients want to hear about are covered, money, career, love, health & illness, children, spirituality, even manner of death and timing using firdaria and solar revolutions. This allows you to really become a "complete" natal astrology since you then have access to the whole range of traditional materials. This includes all of Ben Dykes' great translations of Arabic astrologers. Though if you read these you will find that the real problem with traditional sources is not the s's that look like f's or the the older style of modern English, but the concepts! This is what taking a course is really excellent for, mastering step by step the complex concepts and techniques. It's not really a surprise, I guess, that my interest and expertise in astrological magic shows up in the Renaissance Natal Astrology Course! There are lots of cool magical areas you can delve into in natal astrology. For example the name of your guardian angel/spirit can be determined from your birth chart. Agrippa mentions this in book III of TBOP, but is very confusing. I teach how to do this process manually and the course also includes the great Daimon Name Calculator standalone software by quaero lux. Zip! 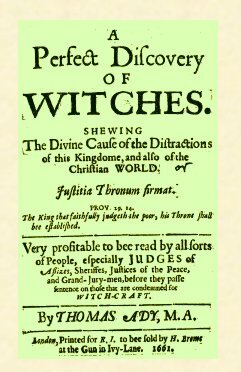 What would take an hour or more is done in a second and all the English, Kabbalistic, Hebrew, evil daimon etc, etc, names listed by Agrippa are right there! 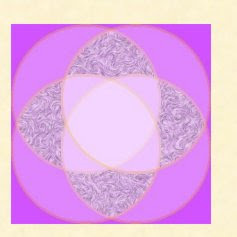 I also include traditional images for each of the 360 degrees, very cool, 300 years older than the Sabian Symbols. What's really exciting, however, is a whole lesson on prescribing astrological remedies based on the natal chart! Before now astrologers could just predict, now with astrological magic, we can actually DO SOMETHING with the birth chart. I explain how to analyze a chart for all types of talismans, in particular planetary talismans. How to figure out which planets are good, fair or to be avoided for a natal chart. But we go further in depth in analyzing problem chart areas and what to do about them, planetary charity for afflicted planets and planetary meditation. very, very useful for yourself and very helpful for reading charts for clients and unique to the Renaissance Natal Astrology Course. So sounding pretty good! But I want to encourage you to pre-order the Renaissance Natal Astrology Course so there are some special bonuses for pre-ordering, which you can do until May 15, 2011. That's almost 2000 pages of material on traditional natal astrology! Some of these sources I have never even heard of before and all of them are available only from Renaissance Astrology and as part of the Renaissance Natal Astrology Course. Plus there's more! I have created a special Renaissance Astrology Traditional Natal Astrology page for Solar Fire. This needs a copy of Solar Fire to run, but is very cool! This page has everything you need to judge a natal chart, right on one page. A traditional square chart, aspect grid, essential dignities set up just the way we use them in the Course, fixed stars, planetary speeds, a bunch of useful natal Arabic Parts, and very, very useful, lunar phases with the all important pre-natal syzygy (previous Full or New Moon) for the guardian angel name, PLUS, the complex almuten figuris calculation of Ibn Ezra built right in! Wow! Again, for now, this is only available if you pre-order the Renaissance Natal Astrology Course! Ok, how much is the Natal Astrology Course? I went back and forth about this, but these prices will be the same whether you pre-order or not. I thought the most fair thing to do was to give a discount to all my students all the time and give the additional pre-order bonuses, too! If you have taken either the Horary, Electional or Astrological Magic Courses, then the Renaissance Natal Astrology Course is $50 off!!! Just e-mail me at chriswarnock@renaissanceastrology.com for the payment link. Pre-orders and bonuses end and shipping begins May 15, 2011. If you want to lock in the bonuses you can start with a $50 layaway payment, so long as you pay the first installment before May 15, 2011. Just e-mail me at chriswarnock@renaissanceastrology.com for the layaway payment link.